It's that time of year when we celebrate the ongoing success of our Optimist Clubs. Our club presidents serve from October 1 to September 30, but it insn't until second quarter -approximately February - when we recognize their awesomeness with awards. I know, we don't do what we do for awards, but awards exist as a thank you for making your contribution to the enduring qualities of your Optimist Club. What we recognize are the positive qualities that will help your club and Optimist International remain vital in the years to come. At a recent visit to the Twin Falls Optimist Club, Governor Linda Jackson and Club President Donald Bohrn presented immediate Past President Luree Evans with the Optimist International Foundation print. With the current economic situation the Options Program found itself looking for additional support and the Gresham Optimist Club was there to help. To show their appreciation, students in the program showed up outside Heidi's Restaurant at 7:00 am last Thursday to give a flash mob thank you to the Optimist Club. Thanks to Gresham Bulletin editor Jean Jensen for the story and picture. Optimist Clubs in Canada have been using them for sometime, but as of January 1, 2010, Optimist International's sole supplier for licensed Optimist goods is Corall Promotions. They can be found online at http://www.optimistcanada.com/. Shumsky Supply will be closing out their inventory between now and June so be sure to check for good deals and closeouts at http://www.optimiststuff.com/. The Optimist International logo is a registered trademark of Optimist International. The Optimist International Trademark Policy may be viewed here. Purchasing from a licensed supplier maintains the integrity of the brand and provides royalties to Optimist International and your District. Any questions or concerns may be answered by calling Optimist International at 800-500-8130. Zones 4 and 5 and the PNW District Leadership team are looking forward to seeing you at the next district meeting on February 20 at the Shilo Inn-Airport, Portland! Our District trainers have planned an interactive session for club leaders and those who might want to take on district roles in the future. We'll also talk about membership, club stories, personal stories and celebrate our 2008-2009 Honor Clubs with Immediate Past Governor Peter Smith. The District Board Meeting will take place in the afternoon along with the fun Basket Auction to benefit the International Foundations and the Childhood Cancer Campaign. In the evening, be sure to join us for a Pub Night at McMenamens Highland Pub. We hope to see you there. Click here to register for the meeting online now. 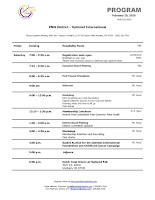 Click on the picture to enlarge and print the draft 2nd Quarter Meeting agenda. Make your hotel reservations by calling (503)252-7500. Suites are $89 and breakfast bar is included. Congratulations! 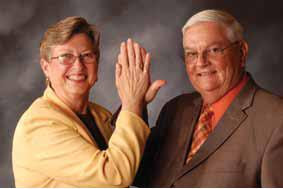 And a big High Five from Anita and Don Sievers, International President 2008-2009. That is the request of our District Foundation Representative Steve Andersen. The Great Basket Auction will be held at our 2nd Quarter District Meeting, February 20 at the Shilo Inn-Airport, Portland. 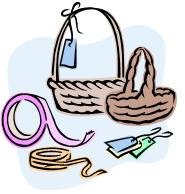 Each club attending the 2nd quarter conference in Portland is highly encouraged to create a gift basket filled with fun stuff to be auctioned during the conference. The club sponsoring the basket with the largest final bid will be credited a $100.00 donation to the OI Foundation. The balance of the auction proceeds will then be split between the Childhood Cancer Campaign and the OI Foundation. Ask your club members to gather basket items NOW! Register today to join us in Portland. Did you know that A -Tisket, A-Tasket was recorded by Ella Fitzgerald? Enjoy it here. The Salem Optimist Club is promoting the Rock Band Showdown to be held on February 27, 6:00 pm at 299 Cottage St. NE Salem, 97301. Optimist Club President John Chamberlain hopes this will become an annual event. They are working in cooperation with the Salem-Keizer Schools and an established after school activity that is held in each school. The Rock Band Showdown will bring a little competition and fun between the schools. Two teams from six schools are planning to attend the event. Trophies and prizes will be awarded. To find out more, please contact John Chamberlain at (503) 949-2744. “If the circus is coming to town and you paint a sign saying ‘Circus Coming to the Fairground Saturday’, that’s advertising. If you put the sign on the back of an elephant and walk it into town, that’s promotion. If the elephant walks through the mayor’s flower bed, that’s publicity. And if you get the mayor to laugh about it, that’s public relations. - Reader’s Digest, “Promoting Issues and Ideas” by M. Booth and Associates, Inc. I pulled this story out again today for a reason. Optimist Clubs need more members so that they have plenty of helping hands to serve more children in their communities. That means we have to start promoting ourselves better. Think about the story of the elephant. What made the circus successful? Was it the signs? Was it the carnival barkers? Was it the mayor or the newspaper? I think it was the buzz known as word of mouth marketing that made the circus successful. Townspeople saw the signs and talked. They saw the elephant trample through the mayor's lawn and talked. They laughed at the story in the newspaper and talked. They went to the circus and talked. Their conversations made the circus successful. Your Optimist Club will be successful when you talk about all the positive things you do in your community. Start talking today. It's time to get registered for the Second Quarter District Meeting in the Pacific Northwest District. The agenda is still being finalized, but it will blend the intimacy that we have felt with the Regional Meetings with the business that needs to be conducted as a Board of Directors. An awards luncheon is included with registration. Plan to attend with your club officers for a one-day Optimist District experience. Use this form to register now. You should make your lodging reservations before January 20 at the Shilo Inn - Airport, 11707 NE Airport Way Portland, OR 97220, phone: (503)252-7500. Rooms are $89 and include a breakfast buffet.